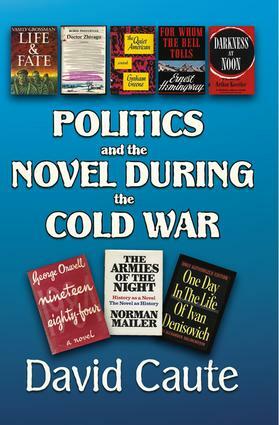 David Cautes wide-ranging study examines how outstanding novelists of the Cold War era conveyed the major issues of contemporary politics and history. In the United States and Western Europe the political novel flourished in the 1930s and 1940s, the crisis years of economic depression, fascism, the Spanish Civil War,the consolidation of Stalinism, and the Second World War. Starting with the high hopes generated by the Spanish Civil War, Caute then explores the god that failed pessimism that overtook the Western political novel in the 1940s. The writers under scrutiny include Hemingway, Dos Passos, Orwell, Koestler, Malraux, Serge, Greene, de Beauvoir, and Sartre. Strikingly different approaches to the burning issues of the time are found among orthodox Soviet novelists such as Sholokhov, Fadeyev, Kochetov, and Pavlenko. Soviet official culture continued to choke on modernism, formalism, satire, and allegory. In Russia and Eastern Europe dissident novelists offered contesting voices as they engaged in the fraught re-telling of life under Stalinism. The emergence of the New Left in the 1960s generated a new wave of fiction challenging Americas global stance. Mailer, Doctorow, and Coover brought fresh literary sensibilities tobear on such iconic events as the 1967 siege of the Pentagon and the execution of the Rosenbergs.